As a busy mom of 3, anything that makes weeknight meal prep easier is a win in my book! We love using VeeTee microwaveable rice because it’s ready in only 2 minutes! 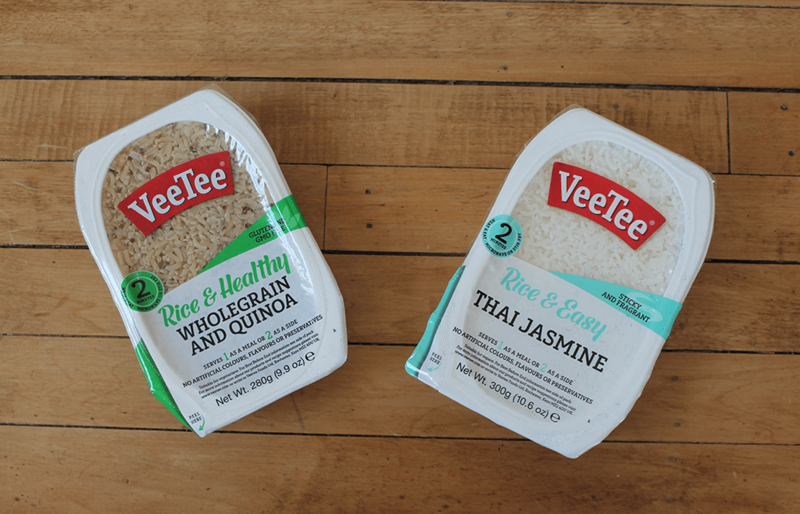 VeeTee Rice has no artificial flavors, colors or preservatives so it’s something you can feel good about feeding the whole family! It’s also gluten-free, vegan and non-GMO verified. The Thai Jasmine rice goes perfectly with curry and other stir fry sauces and the quinoa is great for adding extra protein to meals (something we have to do with our growing vegetarian tween!). Kombucha can be a great way of improving your gut health. 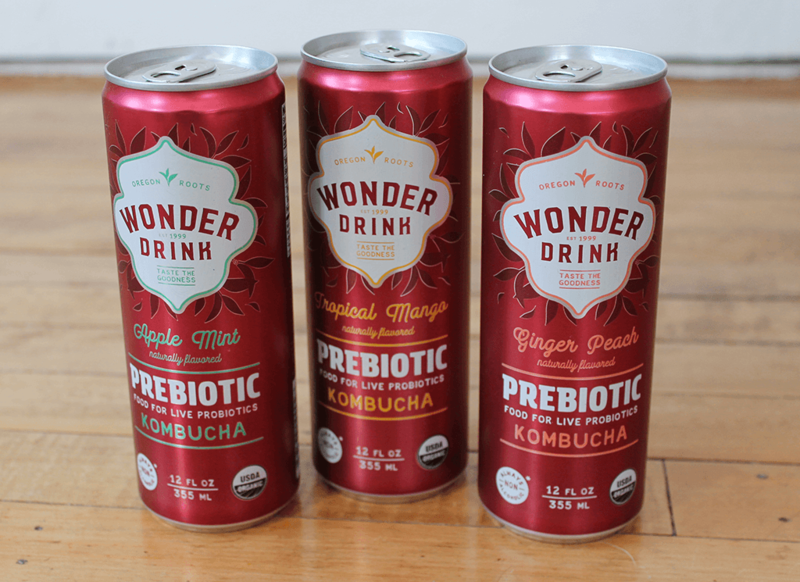 New Wonder Drink Prebiotic Kombucha is the first (and only!) kombucha that is made with xylo-oligosaccharides— plant-based, organic prebiotic fibers. Pre-biotics feed probiotics to help them grow and flourish in your body. Each 12 oz can of Wonder Drink contains only 9-10g of sugar and is guaranteed to be non-alcoholic, gluten-free, non-GMO and vegan. You can grab a $4 off coupon on Amazon during the month of March by clicking HERE. 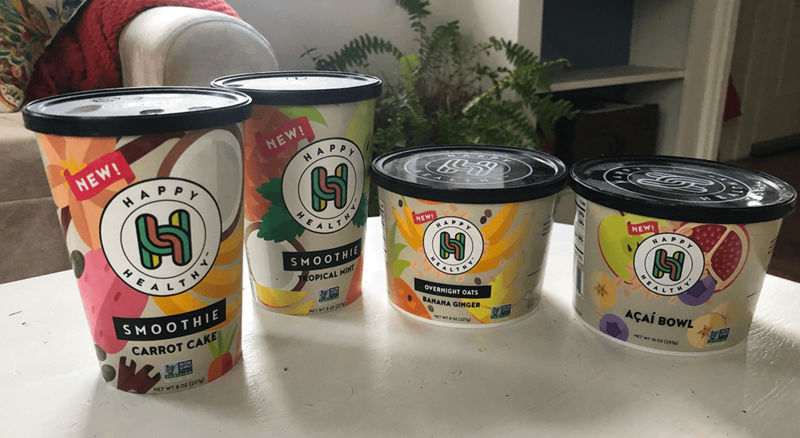 I was SO excited to get this shipment of healthy smoothies, overnight oats and Açaí bowls from Happy Healthy Co. delivered to our doorstep. Their products all contain non-GMO ingerdients and are produced in a nut-free, vegan facilty. Overnight oats are popular with everyone in our family, so I had to hide some to save for myself! 🙂 There are 3 delicious flavors of overnight oats available for you to choose from including Dragonfruit Berry, Banana Ginger and Pumpkin Pie (my favorite!). The pre-portioned cups can be stored in the freezer and are great for weight control. They keep you feeling full and satisfied through the morning, along with providing immunity-boosting nutrients. The smoothie cups are perfect for busy weekday mornings– just empty into your blender and add your favorite milk. Antioxidant full flavors include the Indulgent Blend, Carrot Cake, Tropical Mint, Refresher Blend and Tropical Green Tea. It’s so simple– just thaw and enjoy! The Açaí bowl is another great option for a quick and healthy breakfast on busy mornings. 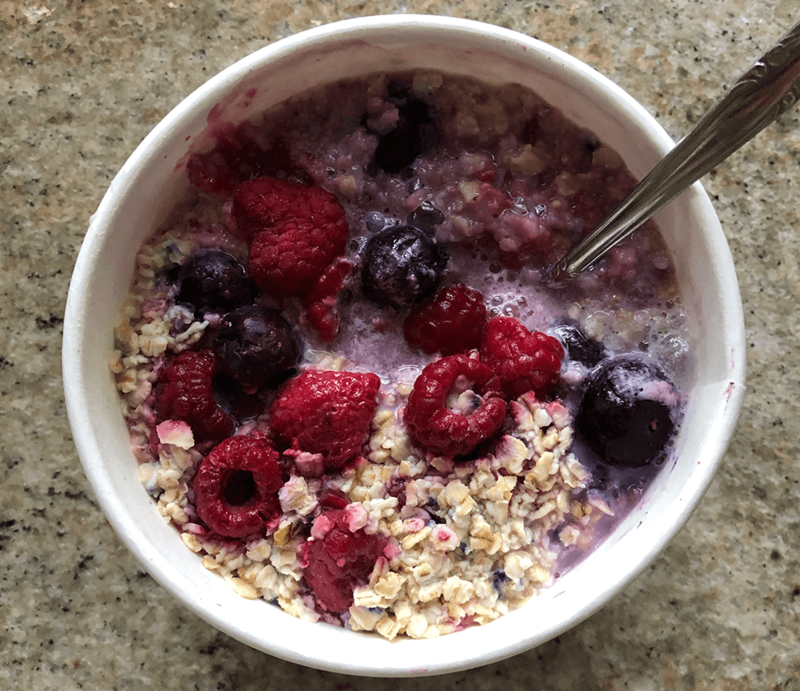 It’s full of Açaí berries, oats, honey, apples, pomegranate, and blueberries. Ready to try them out? During the month of March, new customers will receive $10 off their first order! Just visit their website to claim your offer. 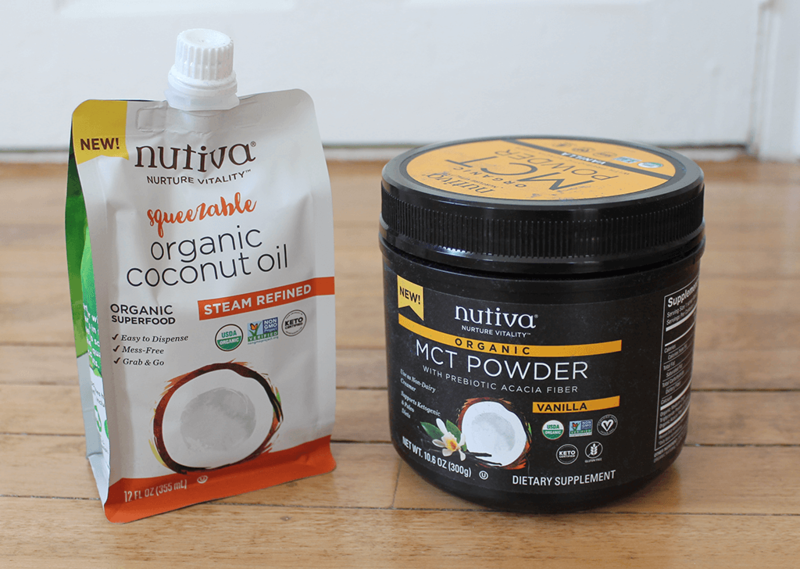 I have been curious about MCTs, so I’m happy I had the chance to try the Nutiva Organic MCT Powder (vanilla flavor). MCTs are medium chain triglycerides which are a great source of energy and can help with metabolism, brain health, weight loss and more. I love that it works with many different diets whether your keto, vegan, paleo or plant-based (it’s also non-GMO). All you have to do is stir it into your coffee or smoothie– it’s a great way to start your day! We use coconut oil for just about EVERYTHING– cooking, moisturizing, skin irritation and more. The Nutiva Organic Squeezable Steam Refined Coconut Oil is great for baking, stir-frying or anywhere else you would use butter in your cooking. Because it’s steam-refined there is NO coconut flavor. It’s certified organic, non-GMO, keto and vegan. 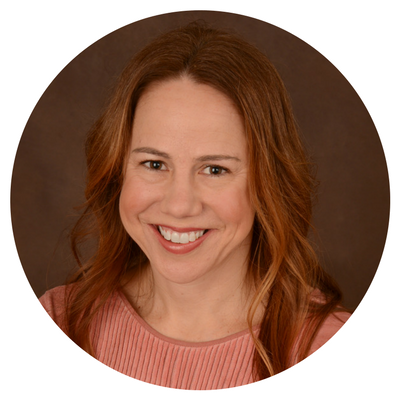 Nutiva has a special offer for my readers! 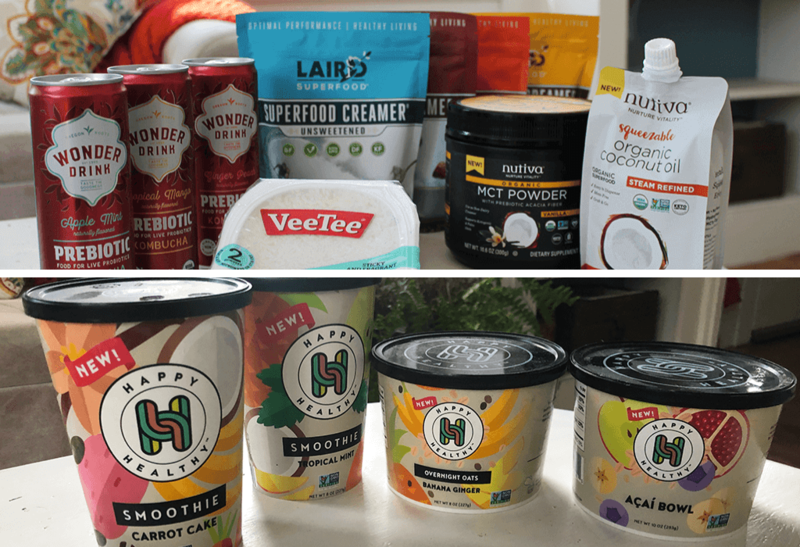 Click HERE and use the code NUTIVA25! to get 25% off all MCT Powder Flavors and Refined/Virgin Coconut Oil Pouches. This offer is valid from 3/1/2019 – 5/31/2019. It cannot be combined with any other offers and is limited to one use per customer. I gave up cream and sugar in my coffee quite a while ago, but now and then I like to add a little something to my black coffee to make it a little more substantial. The Laird Superfood Creamers sounded perfect for this so I opened up the Cacao Superfood Creamer and gave it a try in my morning joe! I love the cocoa flavor and it gave my coffee a little more oomph along with naturally occurring MCTs. Coffee + superfood = morning to-do list done! BONUS: they also work really well for gluten-free and vegan baking! 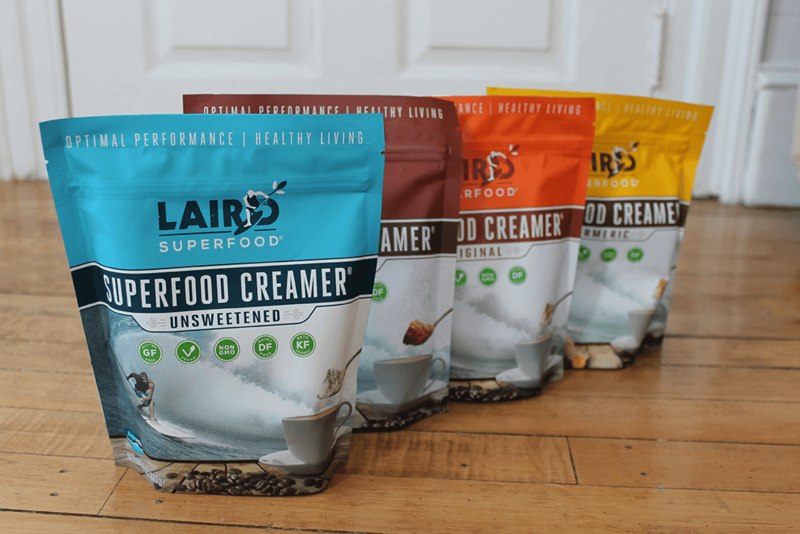 Created by big wave surfer Laird Hamilton, Laird Superfood only uses all-natural, whole foods and functional ingredients. There’s nothing artificial– just good clean energy to power you through the morning (or afternoon!). New customers can save 20% off their first order at lairdsuperfood.com using code BABBLE20. This offer expires June 1, 2019. Have a happy and healthy National Nutrition month and I hope you get to try some of the above products– you won’t be disappointed! Previous Post: « Time to Celebrate HERstory!